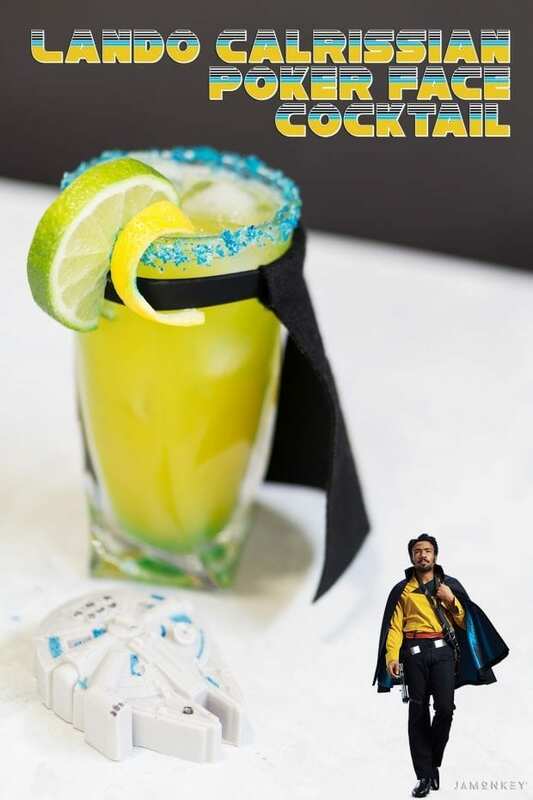 Lando Calrissian is the smoothest guy in the galaxy and to celebrate my excitement for Solo: A Star Wars Story I made this fun Lando Cocktail complete with a cape for your cup! 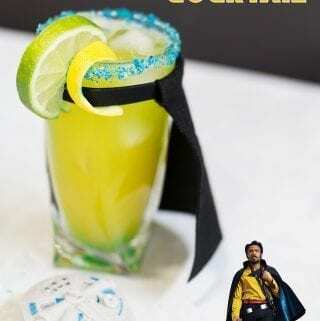 It's a twist on the classic Poker Face cocktail. Everything you've heard about Lando is true, especially if it has to do with gambling. 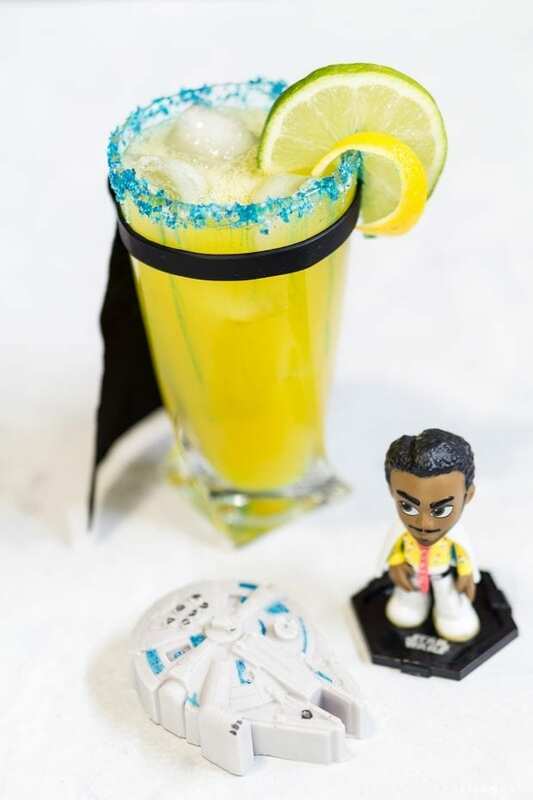 For this cocktail, I'm celebrating the epic game of Sabacc . Which you can now play at home! Sabacc is the game that Lando and eventually Han Solo play to win the Millennium Falcon. 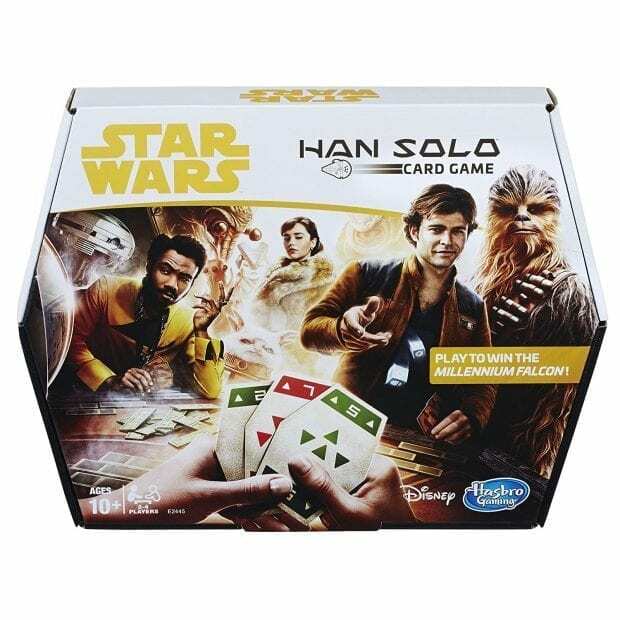 Play Sabacc (the card game Lando and Han Solo play) at home! The first thing I did was slip the black cape drink marker onto my glass. I then made blue margarita salt by mixing a drop of blue food coloring with the margarita salt. Line the rim of the glass with the blue salt. Stir your ingredients together and pour over ice. 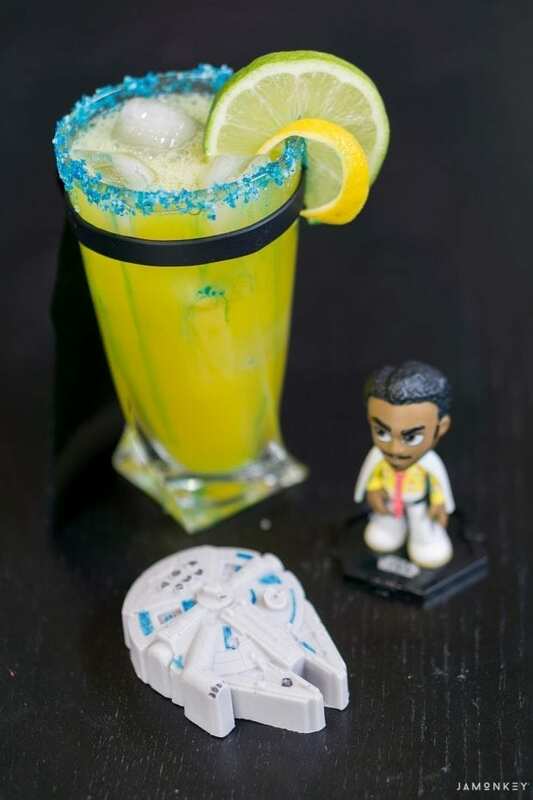 Be careful not to get a lot on the rim because the blue will fall to the bottom of the drink. Garnish with a lime or pineapple. Stir together all ingredients and pour over ice. Garnish with a lime or a pineapple. 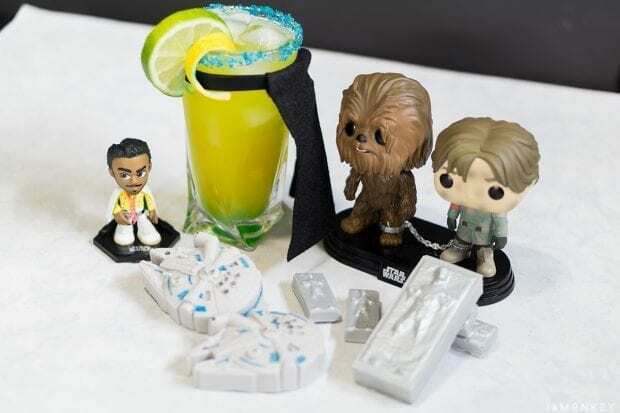 You can make ‘Chewie' Millennium Falcon and Han Solo trapped in carbonite candies to go with them!